WASHINGTON, D.C. (May 24, 2012)  The 2012 National Memorial Day Parade will pay tribute to the pride, sacrifice and service of America's Veterans with a lineup of veterans units, marching bands and patriotic floats. The annual procession begins at 2:00 PM (Eastern) on Monday, May 28. The National Memorial Day Parade is organized as a moving timeline of American military history, paying tribute to those who served from the time of the Native Americans and the American Revolution through the Civil War and on to current times. It will feature veterans of every era from World War II to today. The National Memorial Day Parade will be televised live on the Military Channel and will also be presented through a live webcast at www.military.com. 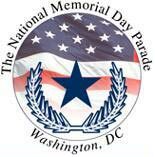 View a list of additional television stations and broadcast times at NationalMemorialDayParade.com. The parade route begins at the corner of Constitution Avenue and 7th Street NW, travels west down Constitution past the White House, and ends at 17th Street. The complete 2012 National Memorial Day Parade lineup in order of appearance is shown below. • Metropolitan Police Lead Car and Motor "V"
• Musical Performance by former Air Force TSgt. Angie Johnson "This is My Country"
• Musical Performance by G. Love - "Peace, Love, and Happiness"
For additional information, visit NationalMemorialDayParade.com. Marching bands interested to participate in future years can view the National Memorial Day Parade information on Marching.com. Source material courtesy of the American Veterans Center.